Before I begin writing, I share my ideas with my two closest writing friends, we squeal together, then I get started. My writing process is a LOT of back and forth. I tend to revise while I draft, going back to a previous chapter and revising it before moving onto the next. My writings always include mini-arcs in the beginning, middle, and end that develop the main story arc, so as I finish each arc, I go back to the beginning of each section and revise before I start writing the next. Basically, by the time I finish the first draft, it’s already gone through a revision or two. This takes me longer to write a first draft, but I skip a round of revisions because of it. Music is one of the biggest inspirations to me. If I am stuck, I’ll turn on some movie, tv show, and game soundtracks (such as Light of the Seven from Game of Thrones, The Last of Us or Assassin’s Creed soundtracks, etc). Sometimes, I’ll even play a song on loop until I finish a scene. The music provides a movie dynamic, kind of like ‘this is the song that would be playing during this scene if my book were a movie’. I also scour Pinterest for the AMAZING fantasy art that users have linked. Art pieces have actually inspired two whole books of mine. I am also a teacher and it has been a dream of mine to combine my love of reading, writing, and teaching. It makes me sad that reading classes aren’t really offered in the junior high/high school levels and I feel like if students were given the opportunity to take a pleasure reading course as an elective, maybe more kids would take up reading as a hobby. I’ve also wanted to teach creative writing at a junior high/high school level since I started writing. So many kids would benefit from being given an outlet to express themselves freely in a safe and productive way, and it might even inspire them to pursue a career in writing. Everyone has a story that they want to tell, but they might not know how to tell it. I remember when I first started writing, I had so many different ideas and these epic moments in my head, but when I actually tried to write them, it was atrocious. Like stab my eyes out kind of bad. But I didn’t stop. Instead, I read more. I read A LOT. By reading, I learned about the lyrical flow of varied sentence structures and what a narrative voice actually was an how it impacted the story. Through reading, I became a better writer. People will tell you that they don’t like your book. People will say they hate your ending. But there will also be people who love your book and everything about it. There are other writers in the community who feel every single insecurity and disappointment that you do. Find others who share the same passion as you, because they will lift you up and make you feel like anything is possible. All of the YA fantasy. ALL OF IT. Csilla’s unspoken words crowded her mind. She never dwelled on death—there was no reason to in the life she lived. Death came, it took, and it did not give back. She hadn’t even given much thought to how she would die, but she assumed it would be bloody and brilliant. As she walked through the crowd with her wrists shackled behind her, her fingers ached for the leather hilt of her sword. If she could, she’d fight until every Elshire soldier lay dead or until her last breath wheezed through her lips. Around her, the weathered courtyard was overflowing with harbor-folk who’d normally be selling wares or watching the soldiers’ demonstrations. On this day, however, they’d be witnessing her execution. The soldiers marched before her, parting the path. To onlookers, she was a stain on their garments they couldn’t scrub out, a plague they couldn’t be rid of. Every time their eyes ran over the scars along her brown skin, and the piercings that lined her ears, their anger flickered with fear and their shouted insults grew louder. Csilla ignored them. The distant crash of waves and the briny scent of sea was enough to calm the frenzied beating of her heart—for now. It was impossible to be truly calm when time was running out. If the army thought to humiliate her in her last moments, they would fail. She held her chin high and stepped gracefully. No one would see her break. No one would see her falter. 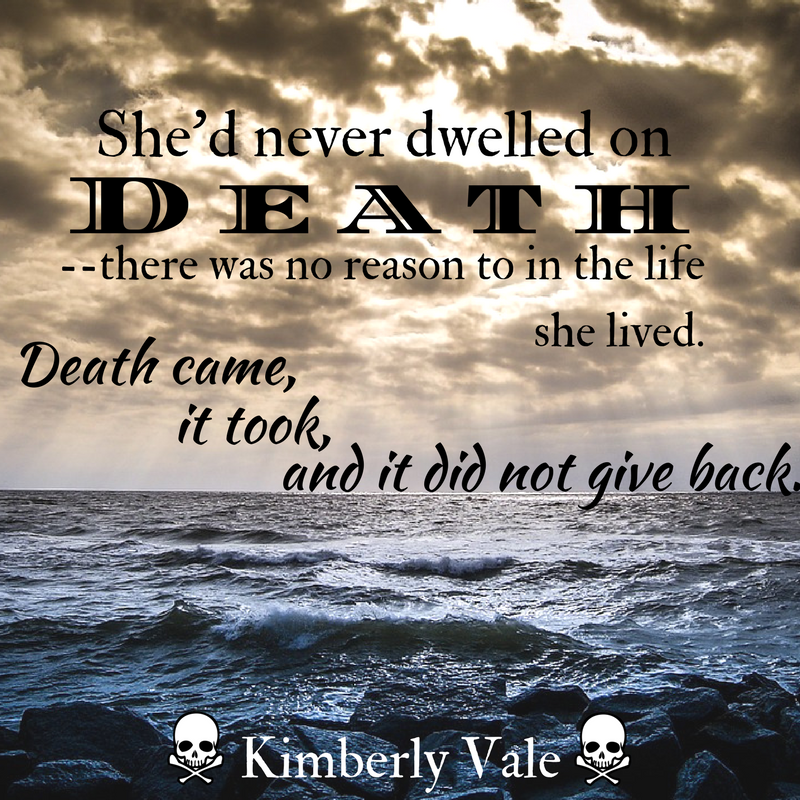 She’d only show them a girl proud of her pirate heritage and willing to die for it.